Reduces real-world Linac time required for training. 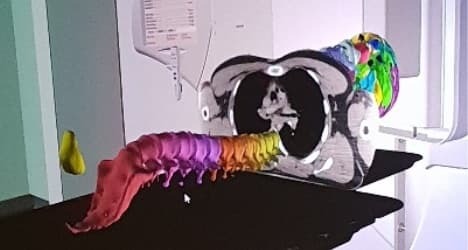 Viable and engaging alternative to teaching or demonstrating radiotherapy to visitors and staff without time pressure in the clinic. 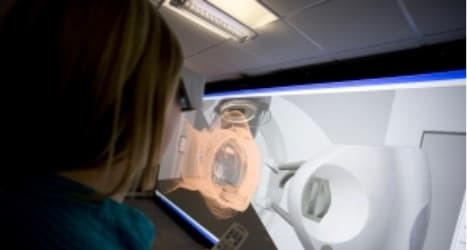 VERT is a virtual environment of a radiotherapy treatment room. 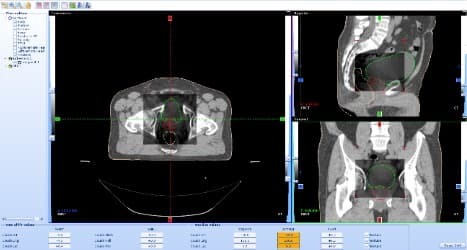 Through captivating 3D views and life size visualizations, VERT offers an excellent platform for supplying radiation therapy training to students, nurses and multidisciplinary team members. From illustration of theoretical concepts through to acquisition of clinical skills in a safe environment VERT delivers tremendous benefits for the student, tutor, clinic staff and the patient. Every VERT system is bespoke. We work with you to match your needs and your budget. A state of the art, back projected system with a life-size Linac model and the potential to walk around the treatment room. This type of VERT system is typically installed in large teaching institutions or teaching hospitals. 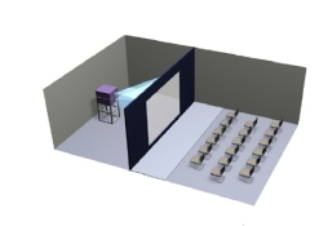 A front projected cost effective solution where space is at a premium, an ideal solution for teaching in small groups. 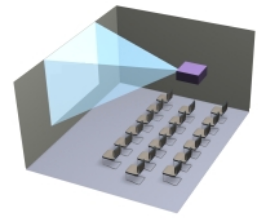 VERT demonstrations are available at scientific meetings and events. To find out where you can see a VERT demonstration please click here. For more information about VERT and how you can transform your training.